We’re getting to that time of year when, let’s be honest, we’re all just there for the chocolate. Whether you’re 13 or 30, an Easter egg ALWAYS tastes better than a normal chocolate bar- am I right? Whether it’s treating yourself to one or sorting your loved one right out, Quidco are giving new users the opportunity to win a free egg- and a pretty decent one at that! 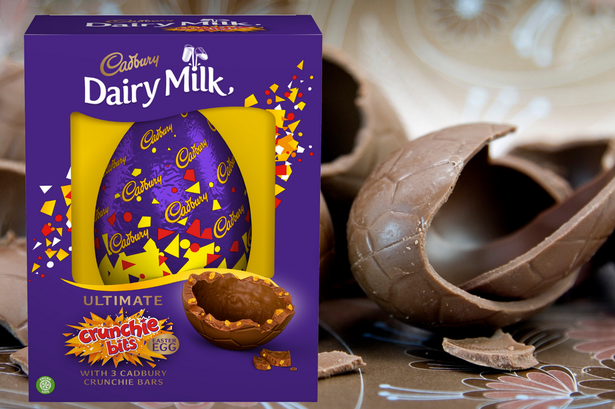 The egg in question is the Cadbury Ultimate Crunchie Bits Egg- yes please!! It would usually set you back £12 which says it all really, with most going for only a few quid! All you have to do to claim this eggcellent little treat, simple click here to sign up to Quidco BEFORE the deal expires on April 30th. You’ll then be taken to Cadbury’s online store where you can buy the egg as normal. Don’t panic- the £12 will be refunded back in to your Quidco account within two weeks! You’re getting a good deal with this one as the egg itself weighs over 570g, having been released as a special edition just in time for the big day. Not only does the egg contain chunks of honeycomb, it also comes with three FULL size Crunchie bars; don’t let this one pass you by! If this one doesn’t get your tastebuds going, then Quidco have another Cadbury’s deal running- check it out here!